Product code: 317 Categories: Sold Items, Sold Rolex Watches. This watch is in as new condition! 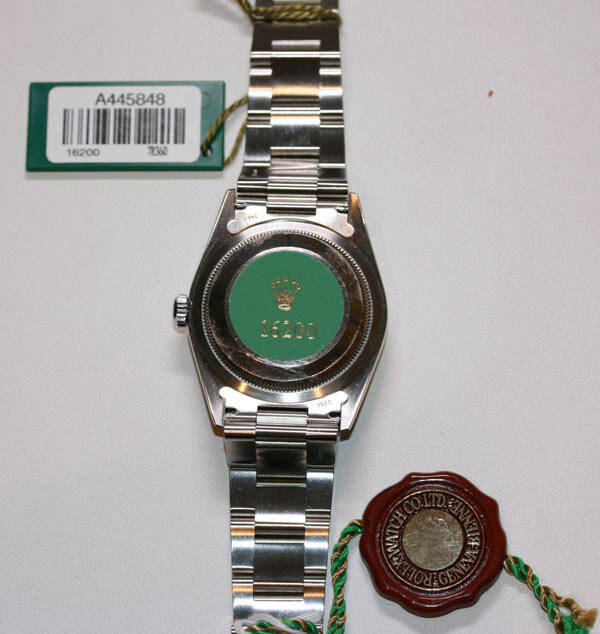 This Rolex Oyster perpetual (model 16200) is a 1999 model, and as you can see from the images, is in perfect condition. 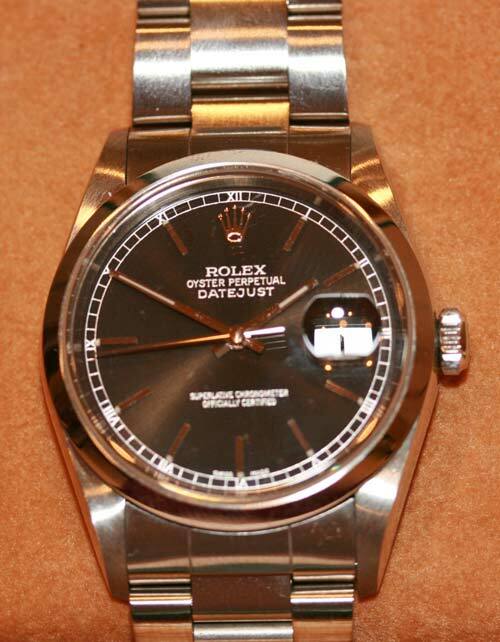 The original Rolex seal on the back, shows absolutely no wear whatsover. The watch itself, has a very lovely black dial, sapphire crystal, and comes complete with its box and papers. As with all of our wrist and pocket watches, it comes with a warranty.